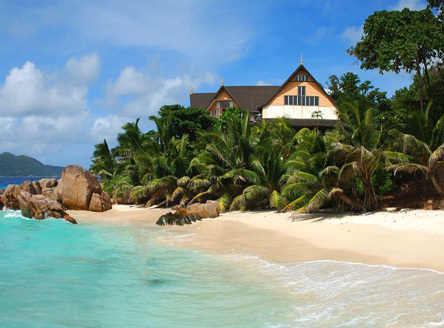 Much of the accommodation on stunning La Digue is in small hotels or guest houses, although there are a couple of larger hotels on the island - Le Domaine de L'Orangeraie and La Digue Island Lodge - that have around 50 to 70 rooms respectively. Many clients prefer to take a 20 minute boat ride from Praslin and have a day-trip to La Digue. Please talk to the experienced Just Seychelles team for help and advice. 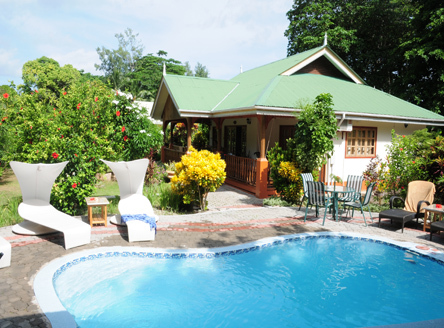 A boutique property situated just 5 minutes from Anse Reunion beach on the west coast, offering warm hospitality and an unequalled approach to small guesthouse luxury. Just a few minutes walk or cycle ride from the many fine sandy beaches of La Digue, Casa de Leela is perfectly located for experiencing the tranquillity of La Digue Island. Just a short walk from the main jetty and only 150 metres from the west-facing Anse Reunion beach lies this cluster of eight comfortably furnished self-catering bungalows. The Lodge is set along the Anse Reunion beach amidst tropical gardens of coconut palms, takamaka trees and flowering plants, with views toward Praslin Island. 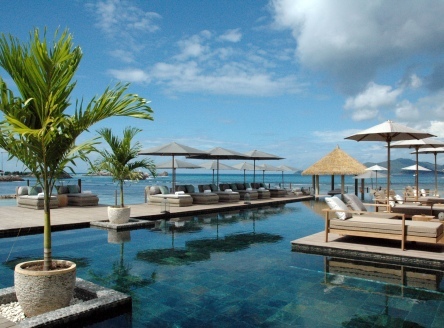 After careful redevelopment, Le Domaine de l'Orangeraie has now offers an exceptional selection of 62 villas. Facilities include a superb swimming pool (built out over the sea), two restaurants and a fine hilltop spa. Set beside west-facing Anse Reunion beach, Le Relax Beach House is the most perfect location for experiencing the serene and relaxed atmosphere of La Digue. 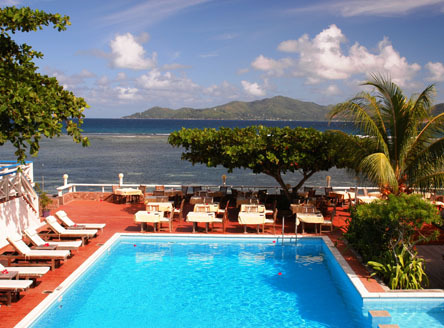 Situated immediately beside the beautiful west-facing Anse Reunion beach, Le Repaire Boutique Hotel offers modern facilities as well as a lovely restaurant. 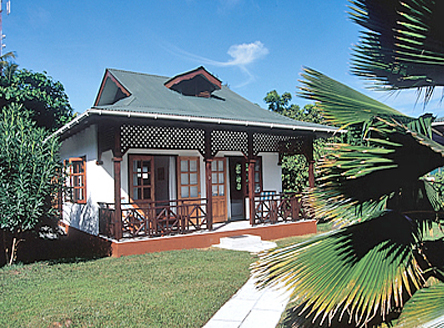 Located in the Union Estate Park, adjacent to one of the most famous and photographed beach Anse Source d'Argent. 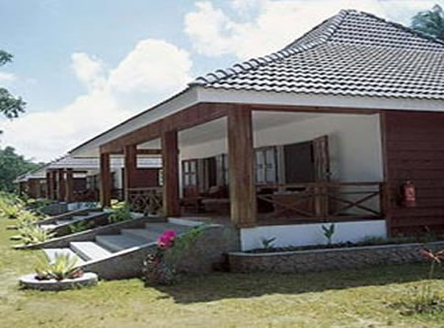 The spacious chalets enjoy exclusivity and tranquility of its vast surroundings. 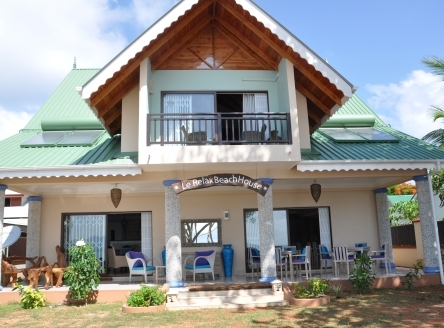 Built on the rocks that frame Anse Patate, on the north point of the island, Patatran Village comprises chalet style and other rooms set into the hillside with lovely views across the ocean. Read more about La Digue Island in Seychelles. 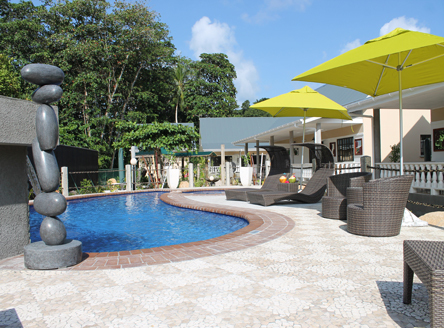 Please call us for details of other accommodation on La Digue or see our great range of Praslin hotels.